This post is sponsored by SAVAGE. Between uniforms, travel costs, and equipment, it takes a lot of money to be part of a team. 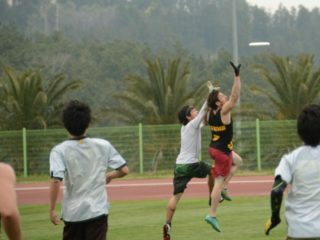 As a former college ultimate player and now the owner of Savage Apparel Co., I know firsthand how tough it can be for teams to raise the funds they need in order to play. And that’s a problem we hope to solve with Greenbackr, Savage’s new crowdfunding platform for the active world. Greenbackr is designed to help teams raise funds quickly and easily. Similar to popular crowdfunding platforms like Indiegogo and Gofundme, Greenbackr allows teams to set a fundraising goal and promote their campaign, with the option of offering donor gifts — we call them backr gifts — as a special incentive for fundraising. So what makes Greenbackr unique? For one thing, Savage takes the hassle out of tracking and fulfilling those all-important backr gifts. We work with you to create a custom catalog of team-branded merchandise to reward your generous backrs, with options including koozies, discs, jerseys, and hats. When someone donates money to your team, Savage will automatically take care of sending your backr their gift. Savage also makes it easier than ever to secure sponsorships for your team. You can opt to include a $500 and $250 sponsorship donation button among your donation options. If a business chooses this option, you agree to a sponsorship relationship, which involves printing their logo on your jerseys. Again, Savage will do the legwork to make this relationship as seamless as possible. Want to keep your campaign simple? Backr gifts and sponsorship opportunities are optional offerings. You can also simply put your story out there, share your campaign, and watch the funds roll in. Like most crowdfunding platforms, there is a fee involved — Savage will reserve 7 percent of your earnings to cover our services. This fee is comparable to most crowdfunding platforms. However, we do offer a fee-free option: If your team chooses to receive your funds as a Savage gift card as opposed to cash, you’ll receive the full amount of your funds raised. Set a realistic fundraising goal. Create a budget for the funds raised — we (and your backrs) want to know where that money is going. Tell us how to distribute the funds raised. 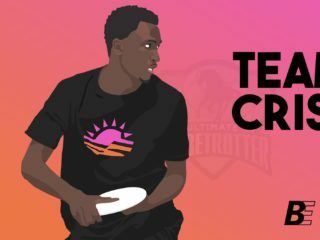 Launch your Greenbackr on SavageUltimate.com. Campaign runs for seven days. Your team will receive any money raised (minus handling fees), even if you don’t reach your goal. As a special incentive for signing up, Savage is offering our first 10 Greenbackr teams $100 toward your campaign. Raising money for your team should never take the fun out of the game. With Greenbackr, you’ll have Savage by your side to raise the funds you need to get on the field and start playing. Follow this link to set up your Greenbackr today!